Are you looking for a Vaillant Specialist heating engineer on the Isle of Wight? 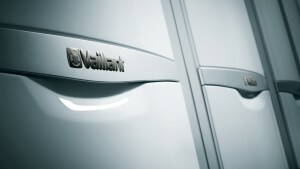 Look no further than Valiant Service and Maintenance. We provide a range of heating maintenance and repair services throughout the Isle of Wight from our base in Cowes. If your boiler has broken down or you’re worried about a gas leak, there’s only one name you need: Valiant Service and Maintenance. With 25 years of experience behind us, we have the skills and knowledge to undertake all aspects of boiler maintenance; from installation to repair. We also carry out annual landlords gas safety inspections, all types of domestic gas work on both LPG and Natural gas. Our work begins as soon as you call us and we operate a quick response system to make sure we’re with you as soon as possible. When you choose our team, you never have to put up with your heating problem for long. Don’t take any chances when choosing someone to repair or install your boiler. Choose the company renowned throughout the Isle of Wight for professionalism and quality – Valiant Service and Maintenance. All of our friendly engineers are Gas Safe registered, fully qualified and maintain the utmost respect for your home, belongings and schedule at all times. You can be sure that when you call Valiant Service and Maintenance, you will receive a service that’s second to none. Broken boiler? Don’t panic; call our heating engineers on the Isle of Wight now on 01983 281774 and we will be with you in no time.